The Wallace Monument, just outside Stirling, Scotland, was erected 500 years after the death of William Wallace (aka Braveheart). His memory looms large in the history of Scotland. He was cruelly and torturously killed at the Tower of London in 1305 at the age of 35, accused of treason by Edward I, King of England. William Wallace led troops and fought valiantly to retain Scotland’s independence. 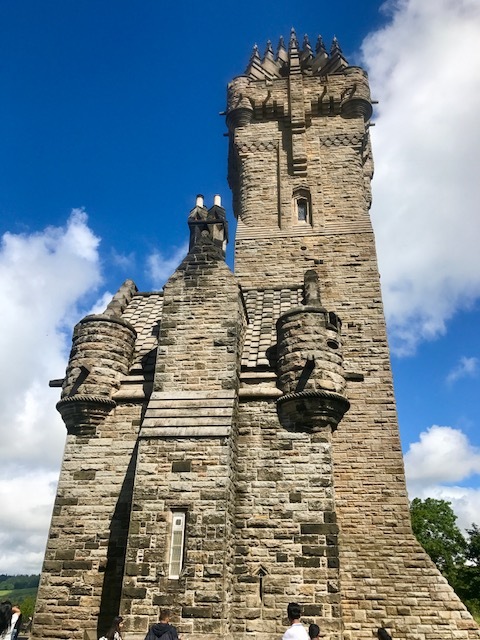 Jenean visited the Wallace Monument with her three clients, sisters descended from the Guthrie Clan, in July and early August. Set at the summit of Abbey Craig, the Wallace Monument has commanding views of the towns and countryside below. 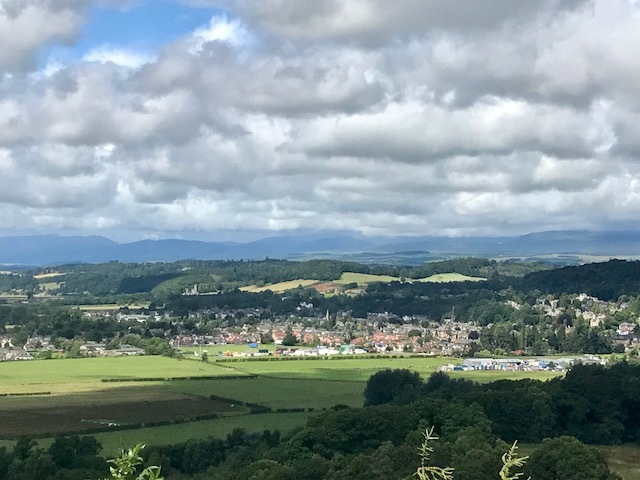 Posted in Family History Tours, Scotland Tours and tagged europe, family, history, in, monument, private, scotland, stirling, tours, wallace, william.